� PROVEN PERFORMANCE: Part of the �World Champion Pen of 3� at the 2016 Midland Bull Test where he finished with a 131 ADG ratio, 119 IMF ratio, and a 111 efficiency ratio against some of the top bulls in the country. 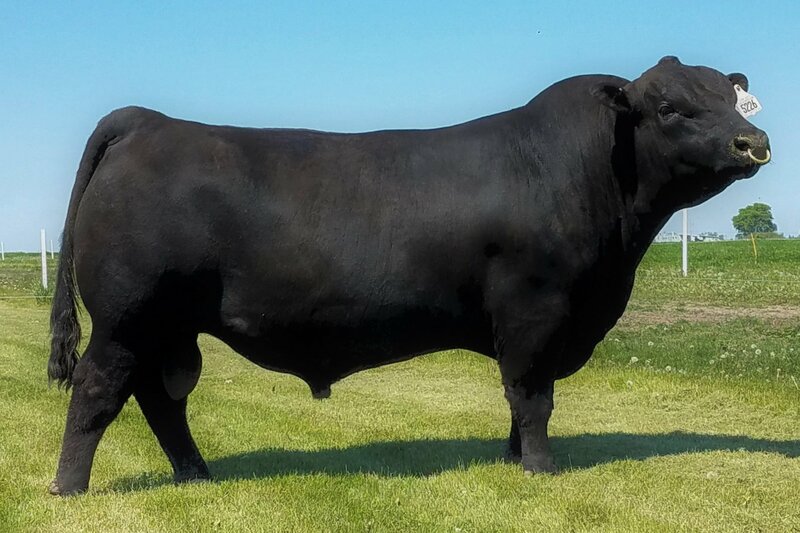 One of the few bulls in the breed to combine explosive growth, carcass quality, and feed efficiency. � GENOMIC STANDOUT: Not only has Generation X proven himself in real life, but his 50k profile puts him in rare company with his combination of growth, carcass, and maternal genetics. � MULTI-TRAIT EPD LEADER: Generation X improves upon his sires�s legacy with an incredibly balanced sets of EPDs, including 14 traits in the top 10% of the breed. � PHENOTYPIC EXCELLENCE: A moderate framed bull with solid feet and legs and a deep body, Generation X comes from a powerful Ten X by Upshot daughter that was the high selling open heifer at the Blackstone Cattle Company 2014 production sale.